The playground design is now complete! 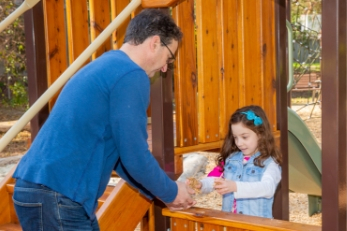 toddler accessible play is still important. The new design has been developed to include the community’s most popular requests. 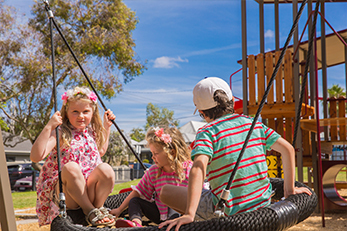 Catch up with the neighbours at the central picnic area (conveniently located next to the new Fashoda Street local shop), traverse between the trees along the new challenging rope climbing unit or just relax and look up at the leaves in the new accessible basket swing. 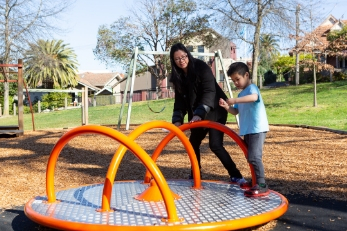 The new playground will improve accessibility and play choices for all ages and abilities and provide a balance of physical (traditional) play equipment, nature based play and imaginary play opportunities. All existing trees will be retained and protected on site. new seating, picnic settings, chess board on picnic table, bike stands and accessible drinking fountain. View the proposed Fashoda Street Reserve playground improvement concept plan.